My outfit to the city. 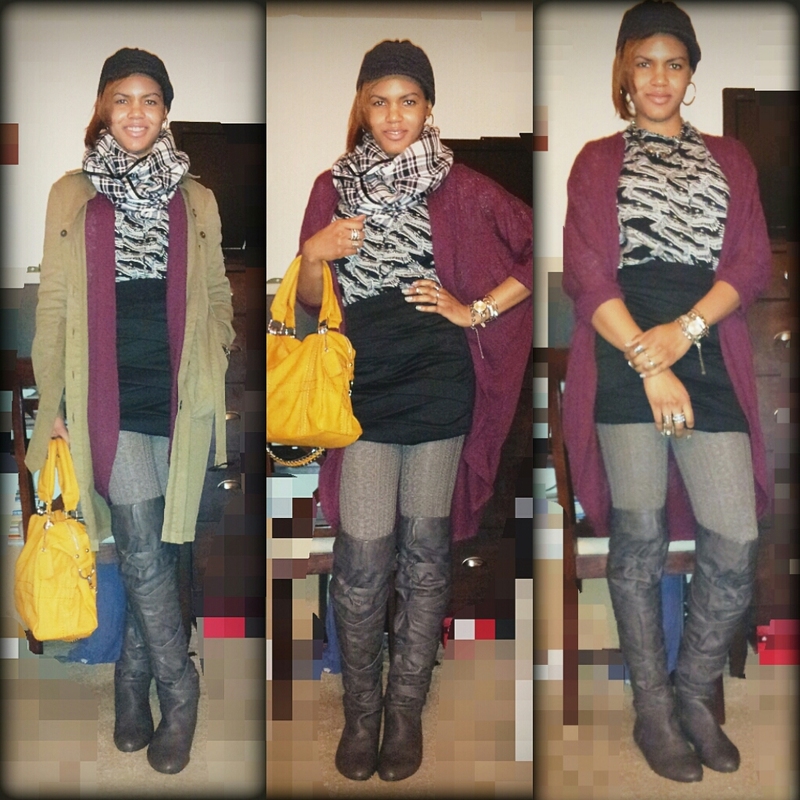 The perfect fall look with multiple of layers, neutral hues, bold colors and prints. I layered my printed blouse (Dynamite) with an eggplant purple cardigan (Nasty Gal) then continued with an olive-green trench coat (Beretta) and topped it off with a printed infinity scarf (Dynamite). I used a mustard yellow bag (Bedazzle) for that pop of color. Since I wore a skirt (Love Republic), heat tech leggings (Uniqlo) were perfect for the occasion along with thigh high boots (Carrini) which I adore! Thank you for reading and much love!